Italian motorcycle brand Moto Morini has completely updated its ZZ streetfighter to meet Euro IV emission regulations. Updates though don’t just end there and the 2017 Moto Morini Corsaro 1200 ZZ gets switchable ABS, electronic gears and a new engine management system. Moto Morini says the look has remained true to the Corsaro, but the 2017 model’s essence has changed completely, making the bike thrilling to ride, sporty and precise, at the same time with all the safety equipment synonymous with modern motorcycles. The Moto Morini Corsaro 1200 ZZ is powered by a 1200 cc, v-twin that makes 137 bhp power and 125 Nm of torque. Moto Morini has re-designed the engine to work with the new Zard exhaust system, helping with both Euro IV emissions and noise, and also improved fuel consumption. The bike gets a new quickshifter and slipper clutch, and switchable Bosch dual-channel ABS. Other updates include a new trellis frame, LED headlights and indicators, and a fully adjustable suspension package from Mupo Race Suspension. The front fork allows rebound damping and preload settings which allow for 135 mm of wheel travel, and even the rear shock can be controlled in terms of compression, rebound damping, length and remote hydraulic preload. The front braking system uses Brembo monoblock four-piston, radial-mounted calipers with double 320 mm floating discs, while the aluminium forged rims are shod with Pirelli Diablo Rosso III tyres for maximum grip. 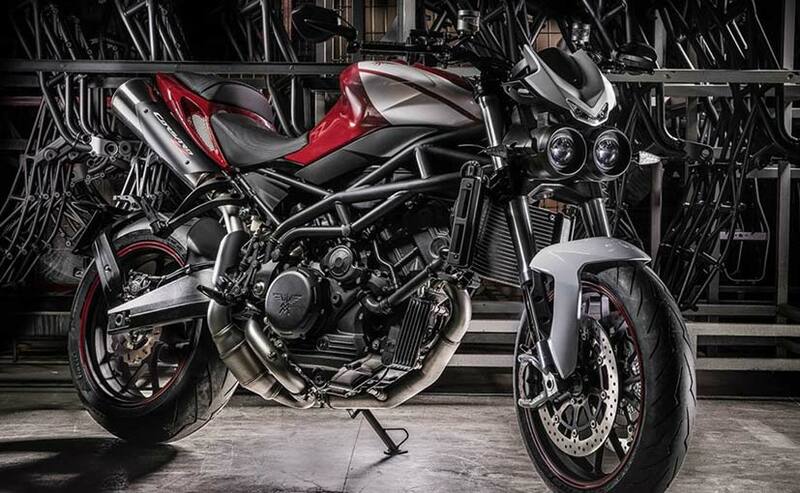 Every motorcycle will be made to order by the Moto Morini factory in Italy, so full specifications are bespoke. Each bike will be custom built to spec, including some interesting paint choices like brushed metal and wood grain finishes. Additionally, there are a lot of carbon fibre bits available on request, and so, there’s no word on a price range either.